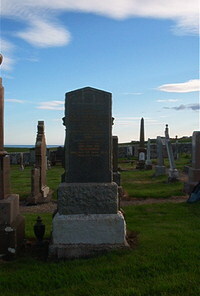 Angus Sutherland Clyne died at Torriviagh Occumster 12th May 1940 aged 81. Wife Janet Bethume died 12th July 1945 aged 80. Daughter Annie Clyne died 17th December 1974 aged 77. Son Alexander Clyne died 3rd April 1985 aged 78.